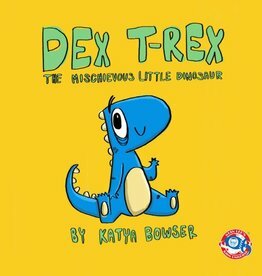 Dex T-Rex is a lovable little rascal who just wants to have fun. He kicks, he smashes, he shreds… but what happens when the little fella plays too rough? Follow the delightful rapscallion Dex T-Rex as he learns how to “play nice”.